Push Notifications are custom messages that you can send directly to your mobile app users. The message content, opening action, and delivery options are highly customizable. 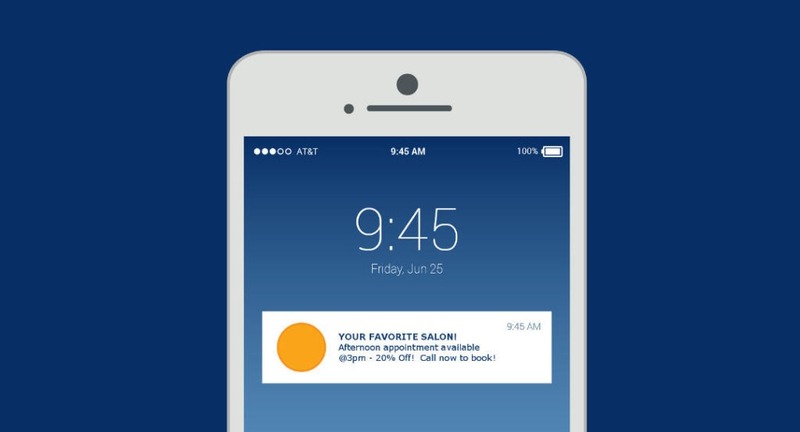 Keep your customer up to date without any effort thanks to mobile push notifications. Send different types of messages and target precise recipients. Automatically send a new push notification linked to your blog when you publish a new post. Choose when your notifications will be sent, during specific time slots, and who the targeted users will be depending on their location, their usage of your app, or the devices they are using. Track the performance of your notifications and improve the effectiveness of your messages based on the results. Keep up to date on the latest trends on mobile apps, website best practices, social media, and other valuable business technologies!